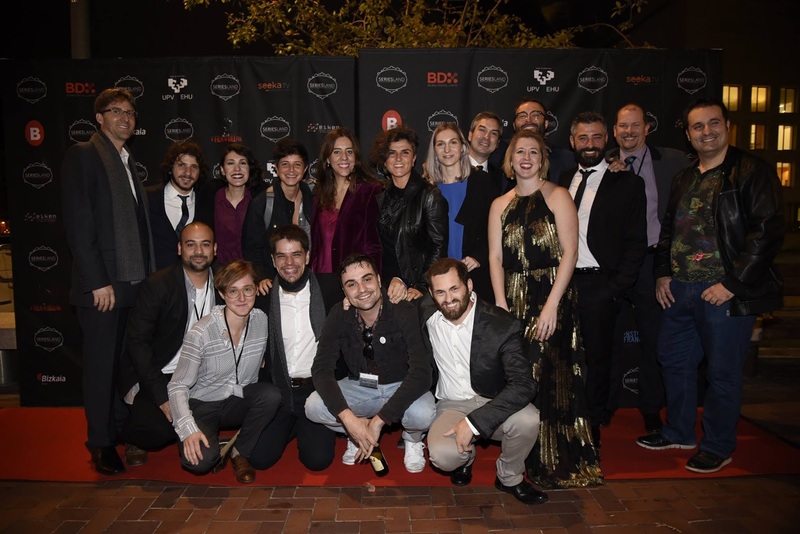 The Bilbao Seriesland took place at the end of October and it was hard to recover from the long nights in the Basque capital. But we did it and, a month later, we took the chance to ask Rose of Dolls some questions, as Founder and Co-Director of the festival. 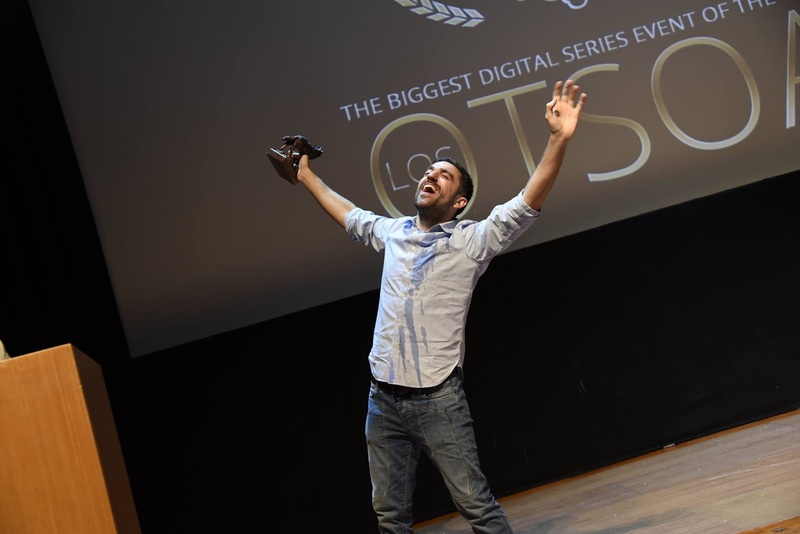 From our point of view, the Bilbao Seriesland remains one of the biggest events dedicated to the digital series world: it has contents, a structure and it’s able to create that sense of community which is the pillar of our tiny little world. It was difficult to re-create the conditions and the numbers of the past edition (the most crowded festival I’ve ever attended) but things went very well anyway. The force of this edition was, once again, in the quality of the moments lived. One example, above all: it was a pleasure for us, as for the rest of the people there, listening the profound speech of the creators of Zyara, the most touching moment of the festival without a doubt. It reminded us that this work is not only about good video entertainment, stories and products, but there can also be a unique human touch and a mission in what some creators are doing, using the Internet as a distribution space. These people deserve a bigger stage for performing and we hope that festivals, media partners and all this bandwagon effect are able to help them. 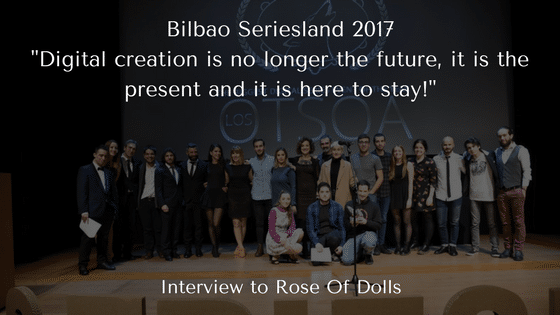 This was our perspective, now let’s hear the words of the Founder and Co-Director of the Bilbao Seriesland, Rose of Dolls. Which are your feelings about this edition? How did it go from your point of view and what do you think about the international participation? We are really happy about how everything went. This third edition was for us a consolidation of a brand, it is the event we have been working for the past three or four years and that keeps us going. We have seen in this short period of time how much the series are evolving, and how many creators want to be part of that change and part of Bilbao. The international creators attending our festival have been amazing, and they have been more than satisfied, I think! We have received millions of thank you notes, emails and messages and everyone was very excited about the festival and all the activities. The energy of participation, nice competition, cooperation and believing and fighting for your dreams was what started this festival, and this year, we could really feel this energy resonating in the international guests. It was just incredible! Among all the things, the Market was the most expected event: how was the reply from the creators? Everyone loved it! It was a good chance to hold meetings with some of the companies that are looking for content production or distribution. It opens a space for dialogue between creators and the business opportunities that are starting to open before them. The audiovisual business is changing and our market is part of the change. There are a whole set of activities programmed to change the mentality and the old vision of doing film and television, and also meetings, case study, project pitching and much, much more! What might be the improvements for the next edition? We are always thinking of our next moves, and we have a lot planned for the following editions. First, continue to work and develop the market, bringing in some key players to meet and connect with the digital series universe. Second, try to expand our vision of the screenings and do special sections, with more social issues. But to do that, we need funding. We are really grateful for the institutions Ekintza, BEAZ and EHU University that have helped us during these first editions, but we need to become even stronger, and we need to have more perdurable help to be able to bring in all of the talent and to foster creativity and the new wave of digital short format. The change is slowly coming and everyone starts looking at what is going to become “the new normal”. People have to understand digital creation is no longer the future, it is the present and it is here to stay! And we totally agree: the digital content is the present, it’s here now and it’s here to stay, period. We are looking forward for the 2018 edition of the Bilbao Seriesland and we wish them all the best, expecially with the funding aspect, because they deserve a stable help. Meanwhile, check out the official Facebook Page for all the pictures of the festival and for keeping yourself update. See you next year, Bilbao!